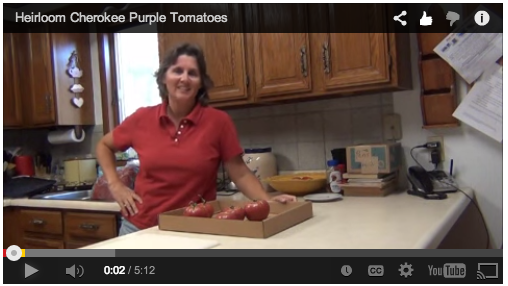 A quick video from Diane Mumm shows off the Cherokee Purple tomato. Looks interesting. Categorized under: Food, Fruit, Video.